Ah, Summer. How I love thee. I love the car windows down - air on my skin, whipping my hair around. Being hot and sweaty all the time. Diving into lakes. Parades. Festivals. Garden produce. GARDEN PRODUCE. Best part. BEST. PART. Summer doesn't last long enough in Minnesota. So, in my futile attempt to drag it out I use a squirrel/hoarding technique of stacking my freezer with so many frozen what-nots that Summer can be had in January. 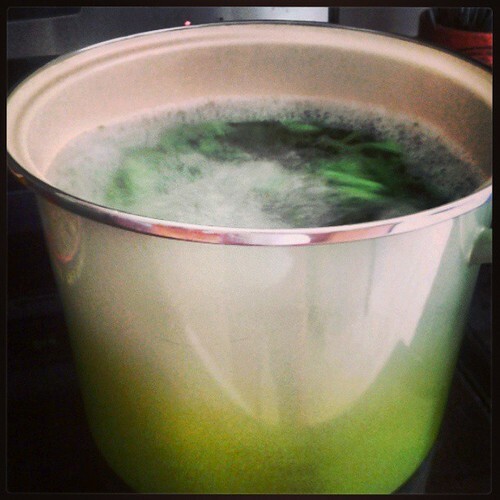 Here is my blanching technique that I use on green beans, kale, corn, tomatoes, you name it! 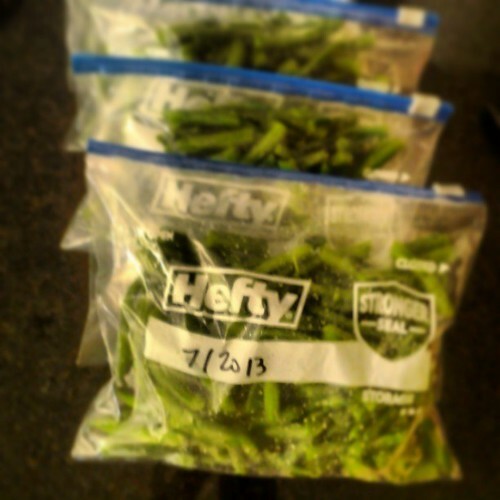 The Farmer's Market had a steal on green beans last weekend, so that's what I'm cookin' up today. 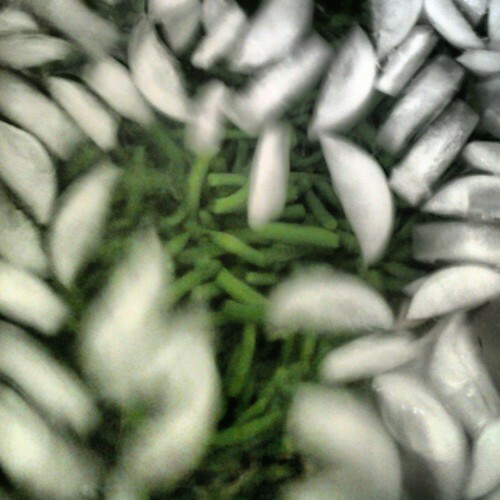 I only remove one end of the green bean, because that's how my mom did it. And she was a Domestic Maven of her time and I adore her. Get a big kettle and crank the heat, baby!! Then chill those babies down. Then get rid of the ice. And throw it in plastic baggies. Or tupperware. Or a shoe. OK. Not a shoe. Start a large kettle of water to boil over high heat. 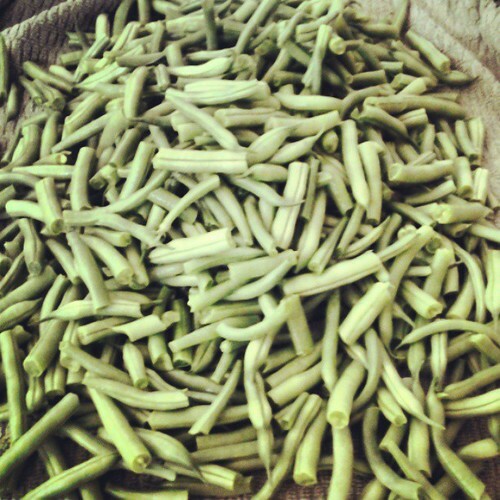 Prep green beans by washing, removing ends and snapping in thirds. Salt the boiling water. 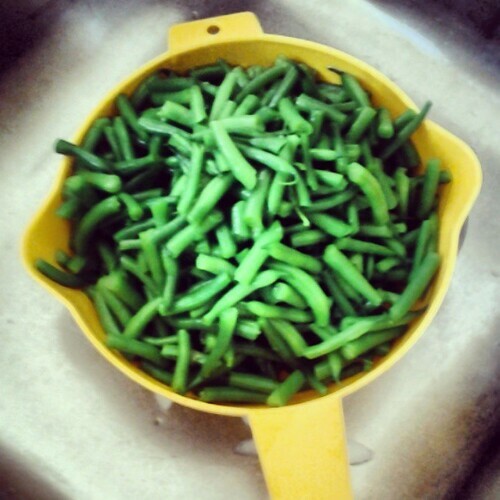 Drop green beans. Keep them in the water for about 3-4 minutes. Remove beans to an ice bath. Place beans in plastic bags and freeze, laying flat, immediately. Technique can be used for other vegetables, cooking time may vary depending on vegetable.